Home / BTHCP 022: Chiropractic’s Certainty Advocate Dr. Dan Sullivan Shares the Science Behind Chiropractic & Total Health Optimization! 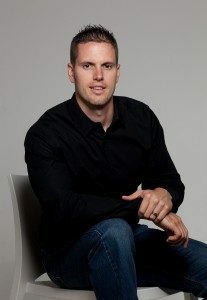 Chiropractic’s Certainty Advocate Dr. Dan Sullivan Shares the Science Behind Chiropractic & Total Health Optimization! I’m your host Dr. Marc Dupuis on this show we discuss tips, tools and strategies to improve the health & wellness of you and your family! His search for truth led him through Doctoral School in Minnesota and advanced chiropractic training. Dr. Dan went on to build one of the largest single-doctor natural healthcare clinics in the state of Nebraska. Dr. Dan expanded his pursuit to the world of research and education in 2012, speaking to students, doctors, and the public while serving as an Official Chiropractor for the United States Wrestling team during the 2012 London Olympics. Dr. Dan, welcome to the show. Dr. Dan thank you so much for taking time out of your busy schedule to speak with us! First and foremost, would you mind telling our listeners a little more about you as a person and especially about how you ended up on the road to becoming a chiropractor? You are an expert on the science behind the power of the chiropractic adjustment and its effect on optimizing human health. One of the major factors that separates you from other researchers is your excellent ability to explain such findings in an easy to understand manner for patients, community members and especially to other doctors who quite frankly have not been trained in this subject matter. Can you please take a moment to explain to our listeners just what is a subluxation and how it affects our human health? One question that often come up from so many people after learning about the devastating effects of subluxation is this: how come I have never heard subluxation? I think that question leads us into a very important issue. Our modern healthcare system, based primarily on the treatment of symptoms through drugs and surgery, is not the answer to improved health and healing. It really should be called sickness care and it is based upon a mechanistic philosophy. Now, a true healthcare system based on healing and the optimization of health like Chiropractic is based upon Vitalistic philosophy. Can you expand on this issue for our listeners? You speak to people all over the world, what are some of the biggest misconceptions that people have about Chiropractic care? Do you have any resources that you would recommend to our listeners, this could be a book, podcast, seminar etc? Lastly, Dr. Dan, do you have any final words of wisdom for our listeners? Dr. Dan, Thank you so much taking the time out of your busy schedule and for coming on the show today! BTHCP: 017 SIBO: A Hidden Cause of IBS, IBD, GERD and Much More!